Brake pads are an important component. It’s a key part to your vehicle’s braking system. It’s a pad that fits between the brake’s shoe (the shoe is the part of the brake that clamps down and slows the rotation of the tires) and the brake drum (a cylinder that’s attached to the wheel itself. 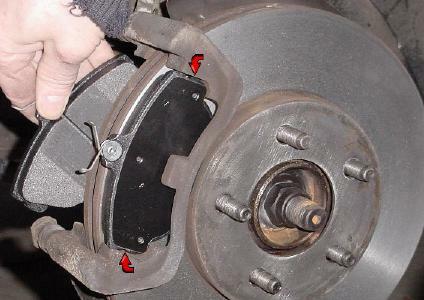 When the brake pads wear away, which there is no doubt they will eventually do, there will be stress on the other brake parts such as the calipers, discs, and rotors. When these other brake parts go bad, they can be both costly to repair and create driving conditions that could be unsafe. Brake pads are designed to eventually wear down. They’re made from a softer material than the other brake counterparts. Every single time you push down on the brake pedal, you wear down the brakes, and the friction that happens when you brake, wears the pads thin. Overtime (Brake pads are rated to last for at least 30,00 miles—although the actual mileage for which the pads will operate correctly will vary from vehicle to vehicle) the pads will make a sound when you compress the brakes. But the sound means that there is wear, and possibly damage being done to the pad, which is why regular routine maintenance and inspections from the professional mechanics at Willard’s Garage is so vitally important to your car’s longevity. When you hear the sound, it could be that the brakes have already compressed enough to damage the other brake parts. Some vehicles come equipped with warning lights to indicate the moment at which the pads have worn through, but still you should remember to have your vehicle regularly checked by a professional mechanic. Oftentimes, warning lights are a sign that damage has already happened, whereas a mechanic may be to determine a problem before it occurs. Very interesting article thanks for sharing.